I am teaching a Science summer camp. Yesterday, when I started this post and my computer died. I left my computer charger at school. UGH. I got there early this morning so I could get this posted right away. The internet did not work. UGH!!! Luckily, I live right by the school and came hom on my lunch hour. Next week, it should be up Tuesday night. Today is the first day of my 50% Summer Wednesday. Every Wednesday, there will be a new theme for 50%. This week, is Back to school. 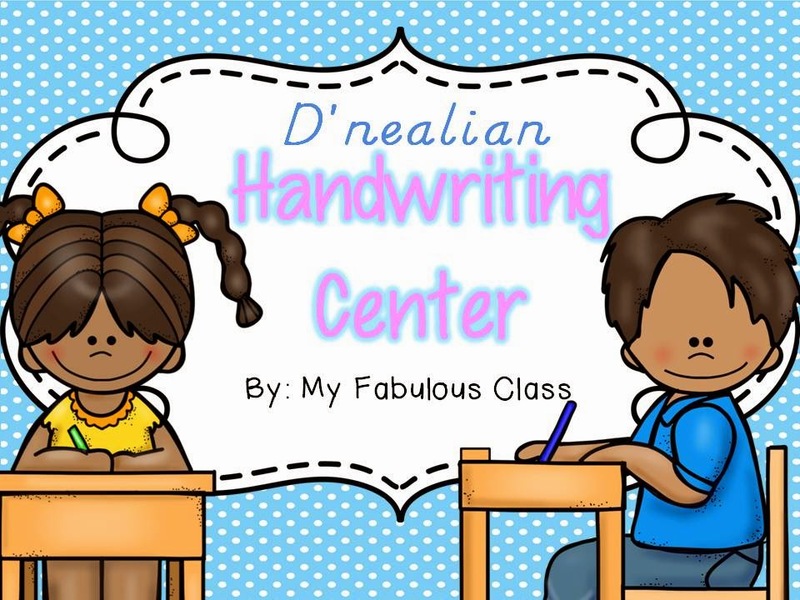 I just updates my Handwriting Center. It use to be called Writing Center. I am breaking it up into two packs now. If you previously purchased my Writing Center, you can get this updated version free. I do not like teaching handwriting. I think it is hard for a lot of kids. When they are writing, they focus more on handwriting then the quality of their writing. However, I know it is important for them to learn to write. I created these alphabet cards last year. I laminated them and put them at the writing center with dry erase markers. This quickly became a student FAVORITE. Some kids come into Kindergarten and do not know their letters. It may even be hard for them to match upper and lower case letters. However, they could all trace. 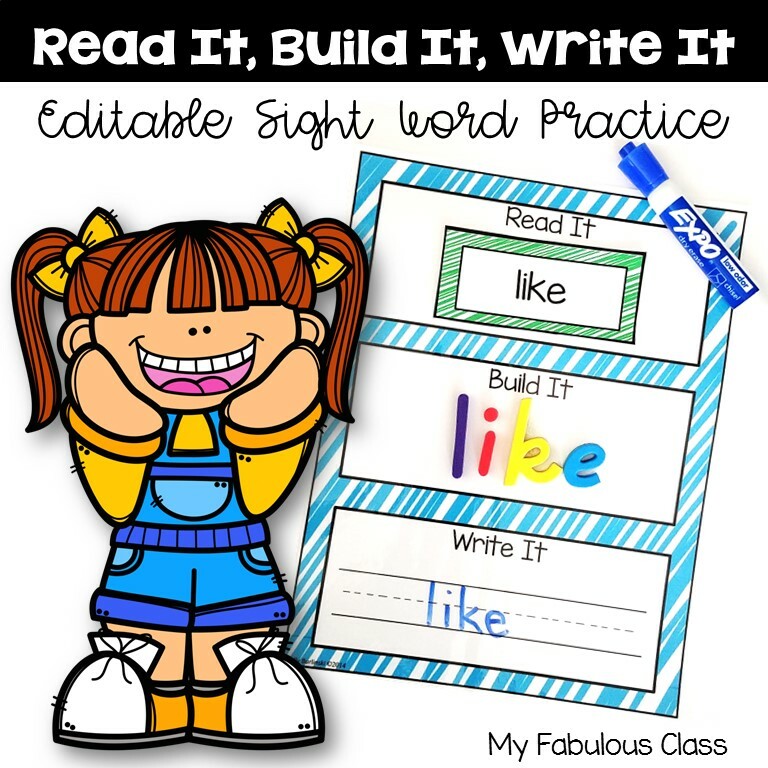 Most of my students quickly mastered handwriting without worksheets. Plus, they started to associate the letters with the pictures. It decided to make more laminated tracing centers. What kid doesn't love write the room? 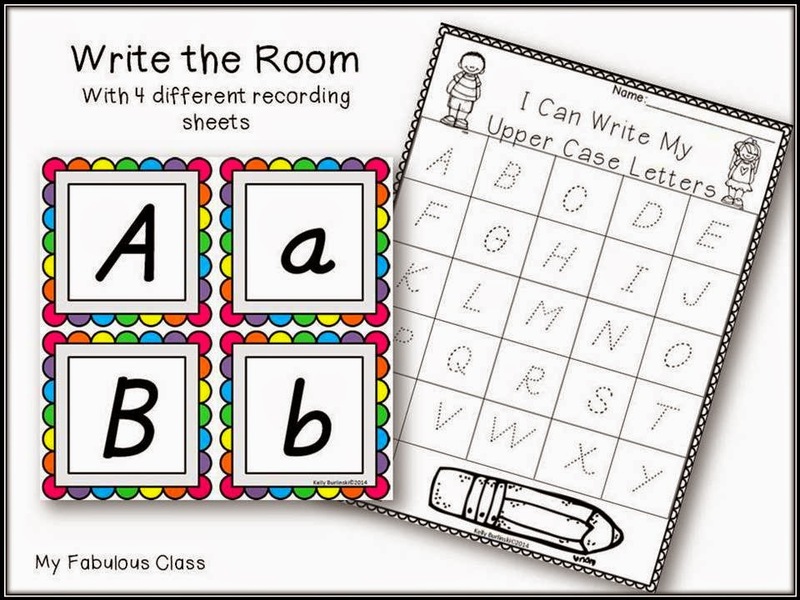 Hang up the letters around the room and students can walk around and practice writing the letters. 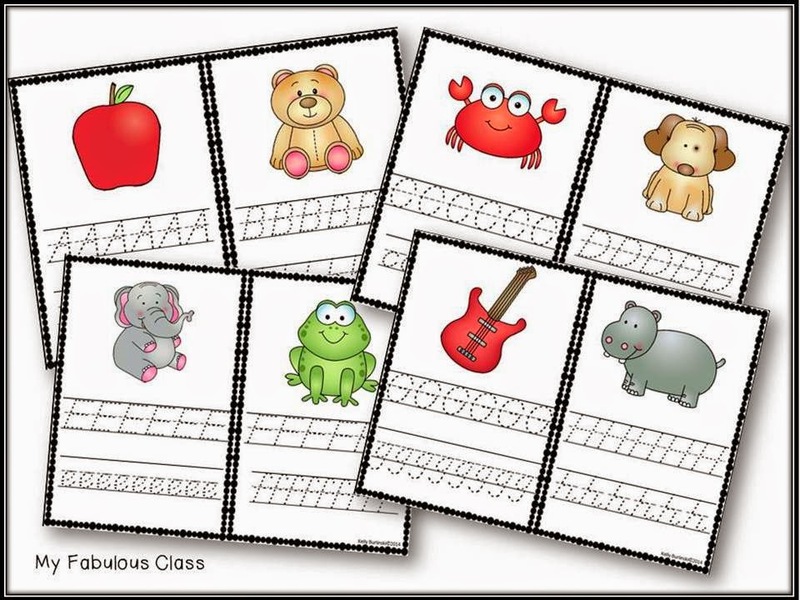 There are four different recording sheets - upper case letters, lower case letters, both upper and lower case letters, and blank. I LOVE how these color word cards came out!!! 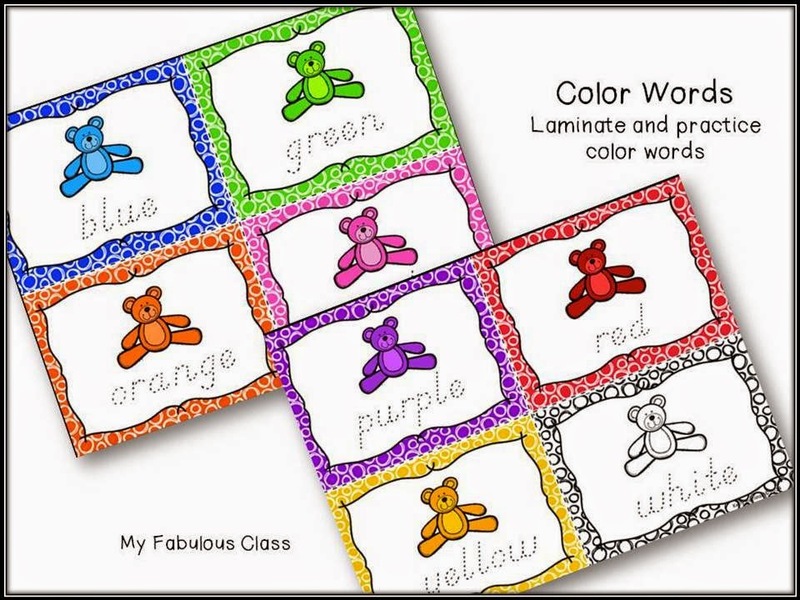 Kids can practice writing their color words. 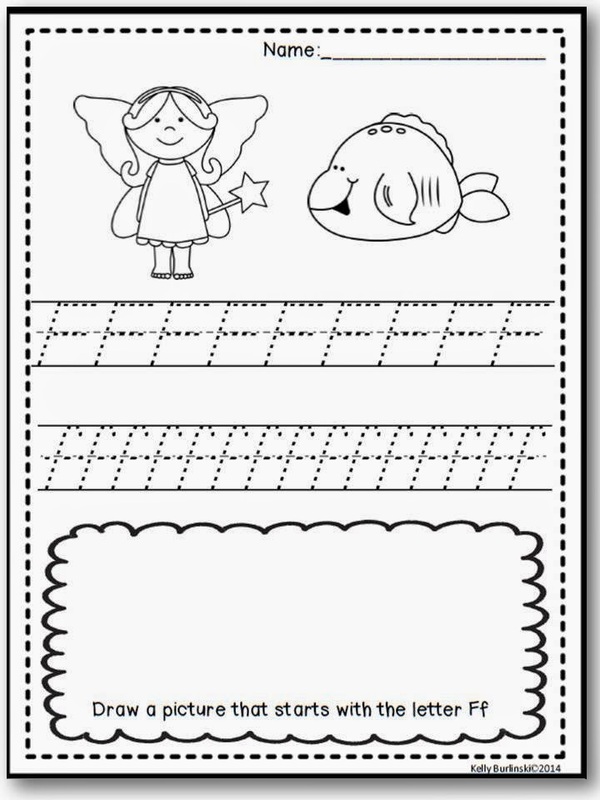 When I introduce letters, I do use worksheets to show letter formation. 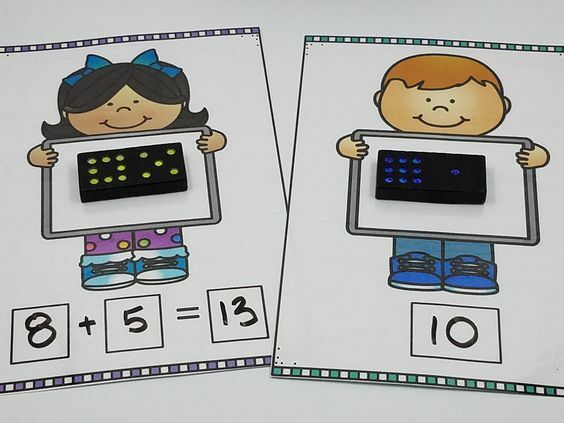 I also like to have kids that draw a picture that starts with that letter to help them make the connection between letters and sounds.This is also great to point on a smartboard to practice letters. 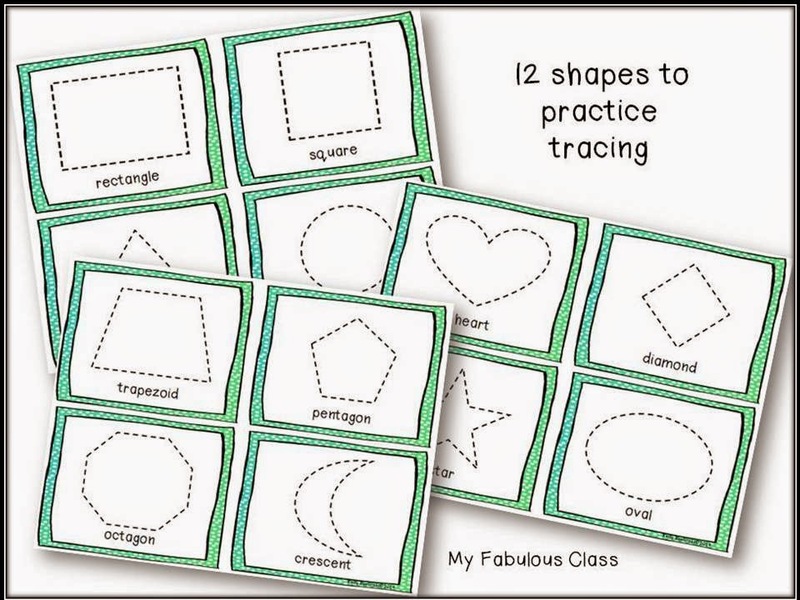 Tracing shapes is great for fine motor. 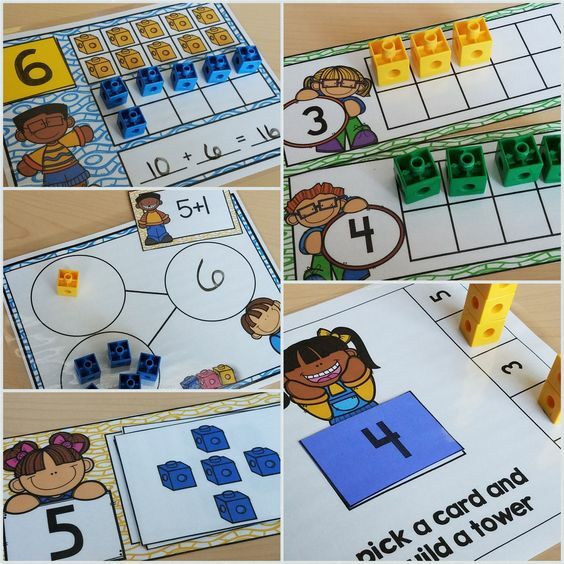 These cards can also be laminated for multiple uses. 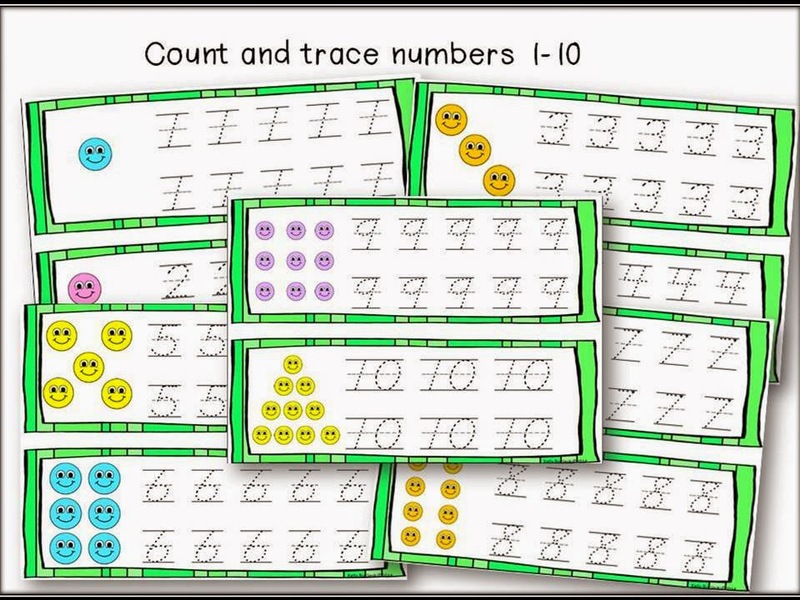 The last activity is counting and tracing, another great back to school activity. 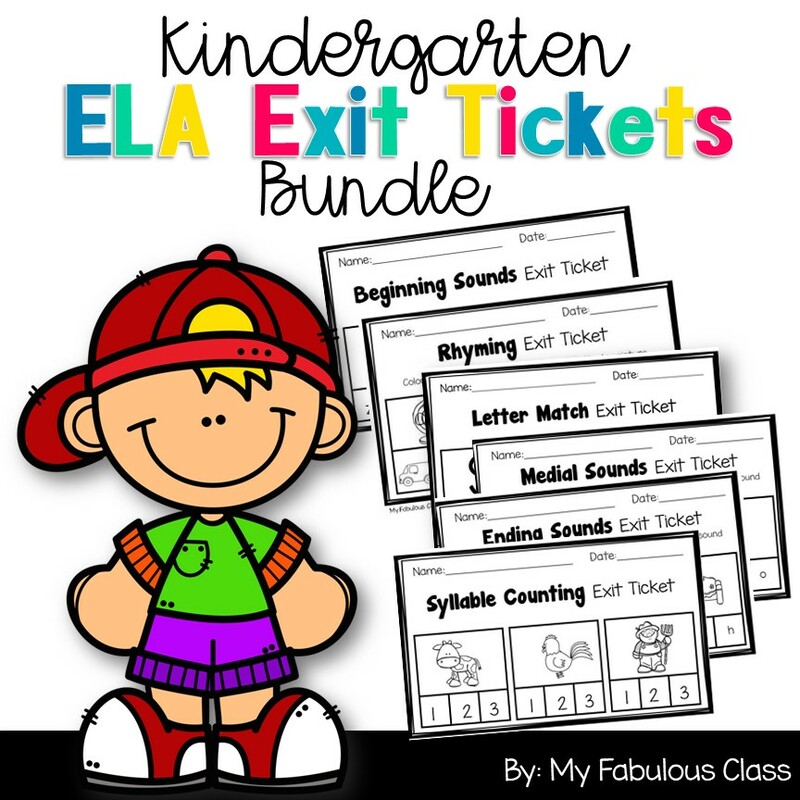 For the next 48 hours, you can this entire Handwriting Pack for only $3.00. Yes, I am working on a Print Handwriting pack for you all. If you follow me on TPT, you will get notified when it is complete. All new products are 50% off for the first 48 hours. 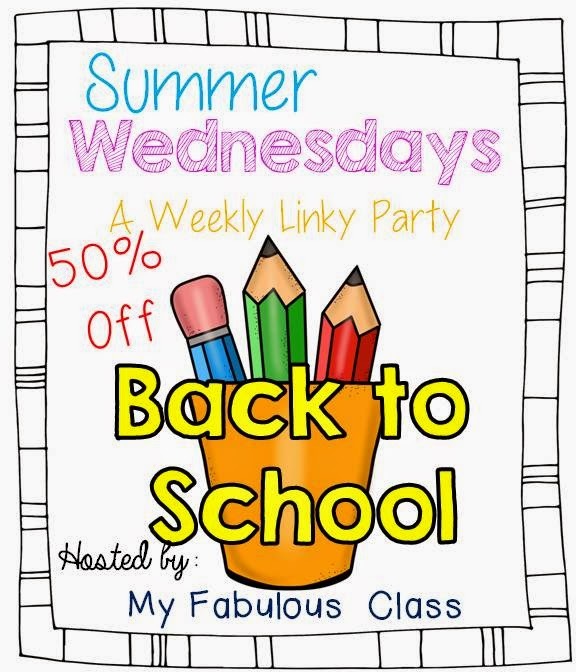 Now it is time to link up your fabulous Back to School Products. Please leave them 50% off for 48 hours so that everyone has time to check them out.